As a foodie, when I travel to a city for the first time I normally try do some research beforehand on places where locals eat and what the main attractions in the area are. 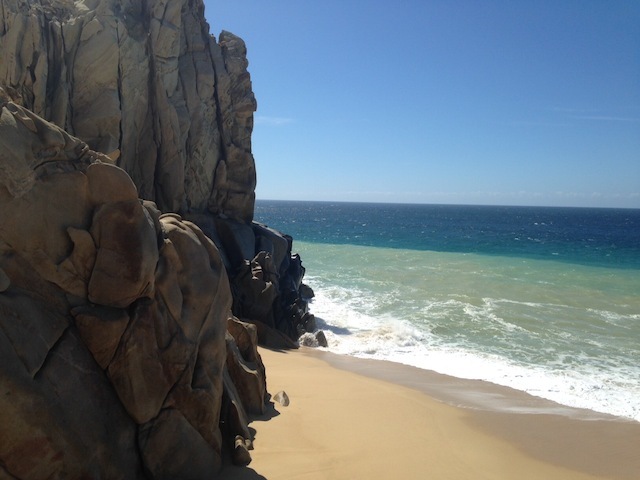 Last week was my first trip to Los Cabos and I was excited to experience this destination. Los Cabos is located in the tip of the Baja California Peninsula in the northwestern part of Mexico, it is made up of two small towns: Cabo San Lucas and San Jose del Cabo. 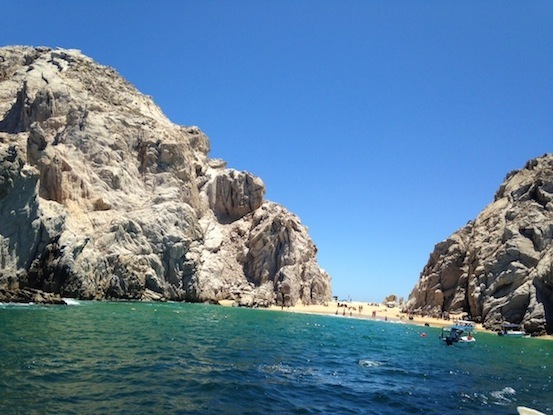 Cabo as locals call it is especially popular for its contrasting views where the desert meets the sea which has become an important fishing and whale watching destination. It houses stunning and challenging golf courses such as Palmilla Golf Club, the first course designed by Jack Nicklaus in Latin America. Los Cabos is a favorite amongst jet-setters and celebrities like Cindy Crawford and George Clooney who happen to have homes in the area. If you are looking to have breakfast you can’t miss Villa Serena in Cabo San Lucas. This restaurant has an amazing view and is the perfect place to get some typical Mexican dishes. I would recommend getting the green chilaquiles and don’t forget to try the sweet bread with chocolate and raisins. If you are a coffee lover go to Cabo Coffee for a nice cup of coffee and a bagel. For lunch I would head to El Toro Guero in San José for some shrimp aguachile. Aguachile is a popular dish in the Pacific Coast of Mexico, its made up of raw shrimp prepared with lemon, onion and fresh chiles. It’s like the ceviche in Peruvian food. El Toro Guero has two locations, in San Lucas and San José and its a casual place perfect for families and big groups. If you have time for a day trip I would suggest going to Todos Santos, a small town one hour away from Los Cabos that was recently named “magic town”. This is a denomination that the Ministry of Tourism assigns to towns which although small have a significant heritage. The town is nice to walk around and look at the art galleries and stores with handmade crafts, Todo Santos has seen a recent boom and in the near future will house a campus for Colorado State University. The town also has different food and music festivals throughout the year. For lunch you should go to Cafe Santa Fe for a caprese salad and lobster raviolis. On your way to Todo Santos stop by Cerritos a big beautiful Pacific beach almost deserted and ideal for a secluded experience. Back in Cabo you will encounter many options for dinner depending on the type of cuisine you like. If you are a sushi lover you must try either Nick San in San Lucas or Koi Sushi in the food court of Cabo San Lucas Walmart. Nick San is the original Japanese restaurant that now expanded to Mexico City, get the sashimi serranito which is a tuna sashimi prepared with ponzu sauce and green chile or the spicy roll with either crab or tuna. Koi Sushi was founded by ex chefs from Nick San, its a very casual spot in the food court but the dishes are worth the visit. Try the Diego roll or ask the server whats the catch of the day and they can prepare the dish accordingly. For a nice Italian spot go to La Dolce in Cabo San Lucas for a beef carpaccio and an al dente pasta. 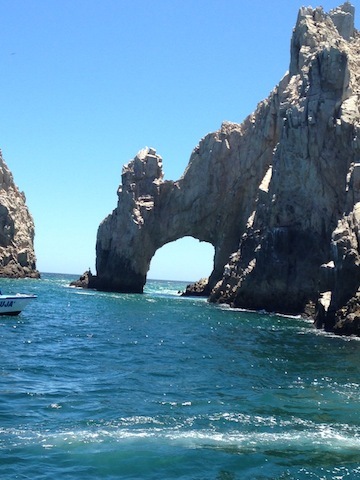 I truly enjoyed my weekend in Cabo, if you happen to be in the area I hope you enjoy your stay.